We have teamed up with Beautybelle.ie and are going Pink for January when you purchase the Jewel or Jewel Double Swivel set you will receive the beautiful PINK PRINCESS PRO 10 piece makeup brush set worth £49.99. We have also further reduced these sets until end of January 2019. Available in 5.0.5.5 and 6.0 left and right hand these are the perfect tools for 2019. Buy the new KAMISORI SWORD and save. These scissors were designed with comfort, purpose and excellence in mind. 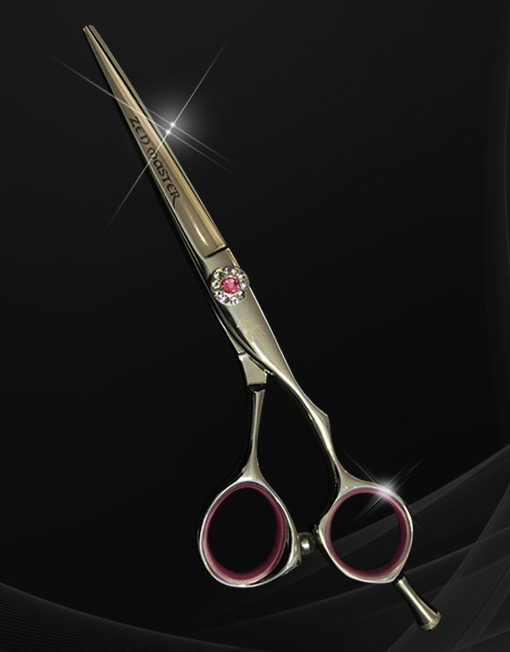 The slight crane design allows you to point cut and scissor over comb with ease! Ergonomically and anatomically brilliant you’ll be at ease cutting no matter how many hours a day you work with these brilliant scissors. Chip into even the finest of hair with these beautifully pointed blades or slice into medium to coarse hair like a hot knife going through butter. Purpose: Dry cutting, wet cutting, slicing, slide cutting, point cutting, graduating – medium to coarse hair.